Sometimes muffins come out dry and crumbly, but these pumpkin muffins are always moist and delicious. They are one of my favorite muffin recipes and they also freeze well. Every time I make them they are gone quick. 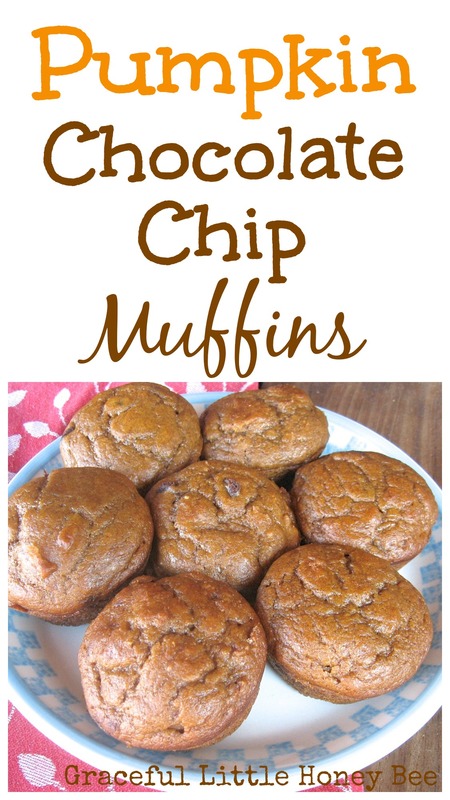 Check out some of my other favorite muffin recipes below. Enjoy! Mix sugar, pumpkin, milk, egg, butter and vanilla. Add flour, baking soda and cinnamon. Pour batter into muffin tins and bake 22-25 minutes. making these for sure! how much chocolate chips? Oops! I guess that's an important part of the recipe! 1/2 cup chocolate chips. Ooo, I tried some chocolate chip pumpkin muffins this weekend, and while they were tasty, they were a mess to get out of the muffin tins. I will have to give this one a try. They look delicious! Thanks for the recipes, espescially the one for puree...I was hoping to find an easier way than having to peel the pumpkin and boil it, then I'm going to Make some pumpkin muffins and pies. Thanks for the shortcuts.